Dong Ju Choi is a senior computational scientist at the San Diego Supercomputer Center and assistant clinical professor of the Department of Radiation Medicine and Applied Sciences at UC San Diego. He received his B.S. from Soongsil University, Seoul Korea, in 1980, and his Ph. D. from University of Alaska Fairbanks in 2000. 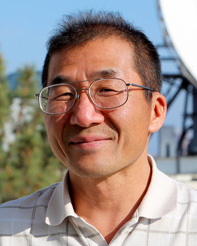 He joined the SDSC scientific computing group in 1996. His area of focus is on engineering and scientific computing and their parallel application. Recently he has been interested and practicing in parallel programming including accelerators of GPU and Many core processor types.